Many people have the misconception that Pinterest is this happy ‘soft’ social media site for DIY moms and brides, where everything is always all perfect and dandy. While this assumption isn’t necessarily wrong, Pinterest often flies under the radar as a practical marketing tool, to the detriment of those who fail to invest time in a Pinterest marketing strategy. To be sure, people underestimate Pinterest when compared to other top social networking sites. In fact, many wouldn’t even call it a social networking site at all—it’s technically a “social bookmarking tool”. Worried about a viral post taking down your WordPress site? Not to fret, Kinsta’s WordPress hosting platform was built with auto-scaling in mind. Whether you get 1,000 concurrent visitors or 60,000, our infrastructure is ready to handle the load! Although you might be tempted to label it as “small”, the numbers behind Pinterest tell quite another story. Pinterest’s visual search engine attracts 200 million monthly active users, over 2 billion monthly searches, and over 100 billion monthly pins. The best thing about Pinterest is that it has staying power. If you’re more interested in spending time creating long-lasting evergreen content versus creating ephemeral content (a la Stories on Instagram, Facebook, and Snapchat), then Pinterest might just be your perfect fit business social network. 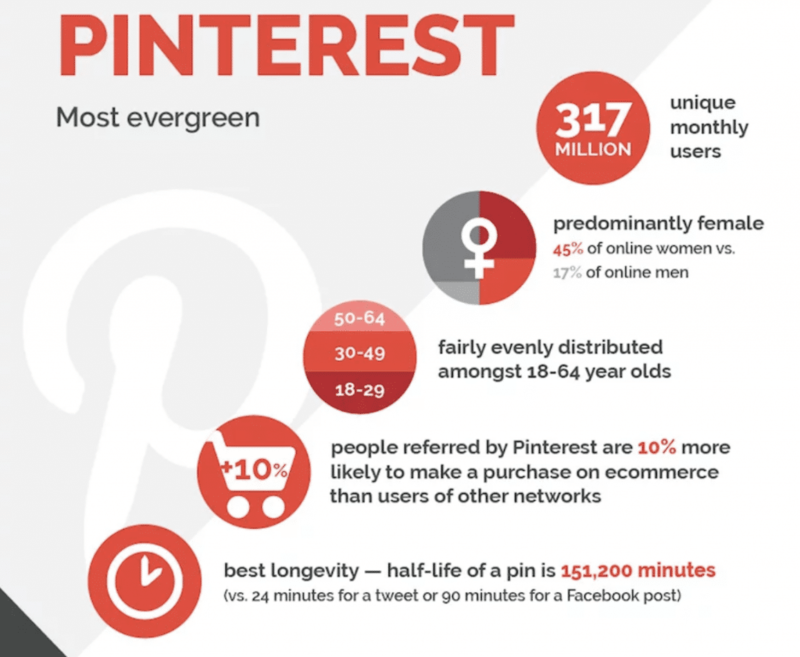 Evergreen content on Pinterest has the longest half-life of all social sites—151,200 minutes (That’s 105 days!). Compare this to 90 minutes for a Facebook post and 24 minutes for a Tweet and your time spent on Pinterest marketing can already prove a better return. Of course, before you jump on the Pinterest bandwagon, you must first determine if it will work out well for your brand. Although more men are getting into Pinterest (40% of new signups are men), it is still mostly a ladies’ game. Pinterest boasts users that represent 45% of online women compared to 17% of online men. Pinterest is popular across all age demographics. Its largest audience is made up of millennials (36%), followed closely by members of Gen X (30-49 year-olds) at 34%. In line with driving purchase intent, Pinterest is very aspirational. 47% of users report that they use Pinterest to help plan life events. This presents an opportunity for related brands (especially luxury brands) to cash in when it comes to developing a Pinterest marketing strategy. Although these statistics represent some of the best target demographics on Pinterest, they can’t answer every individual’s question as to whether or not Pinterest marketing will be a good investment for their company. To do that, you’ll have to use this guidance as an initial barometer, then dive right in and give it a try. As far as referral traffic is concerned, Pinterest can be your best “social media” source. This simple fact alone makes it worth it to consider integrating Pinterest marketing with your WordPress blog. This multi-faceted approach to organization makes it easier for users to organically find your content when they’re interested in what you have to offer. Because of this, focusing on a Pinterest marketing strategy can mean driving people directly to the “buy” stage of your sales funnel. For now, we’ll focus our Pinterest tips specifically on Pins, as they form the basis of Pinterest’s content. There are several ways to increase the visibility of your Pinterest images, like making them visually appealing, using the right images for the site, and using the right keywords to improve discoverability. Images that are posted to the platform are scaled. Specifically, an image’s width scales to 236 pixels. When you click to expand a given Pin’s image, the image will scale to a width of 564 pixels and the image’s height scales accordingly. According to Pinterest, the best image aspect ratios are between a 2:3 and 1:3.5 (width to height), with a minimum width of 600 pixels. Use tasteful branding. Pinterest believes that tasteful branding contributes to an increase in repins and engagement. Include photos of the packaging of your product, or your brand’s logo/a watermark. If you don’t have a logo yet, try to create it right now using Logaster. Use lifestyle images and text overlays to grab attention and help get the idea across. List images and infographics are also popular types of Pinterest images. Look at current colors and designs on board you post to and then tweak your Pinterest images to stand out from the cloud. Pinterest is one of the biggest search engines on the internet, so treat it as such with regards to keyword research (and use). 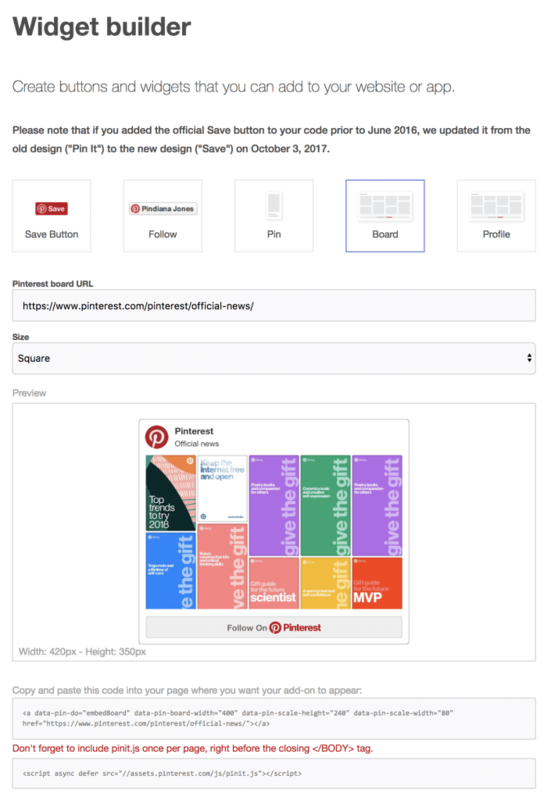 Although a full primer on Pinterest SEO is outside of the scope of this article (though let us know if you’re interested in a ffollow-uparticle on the topic in the comments! ), the principals are largely the same as SEO for Google. 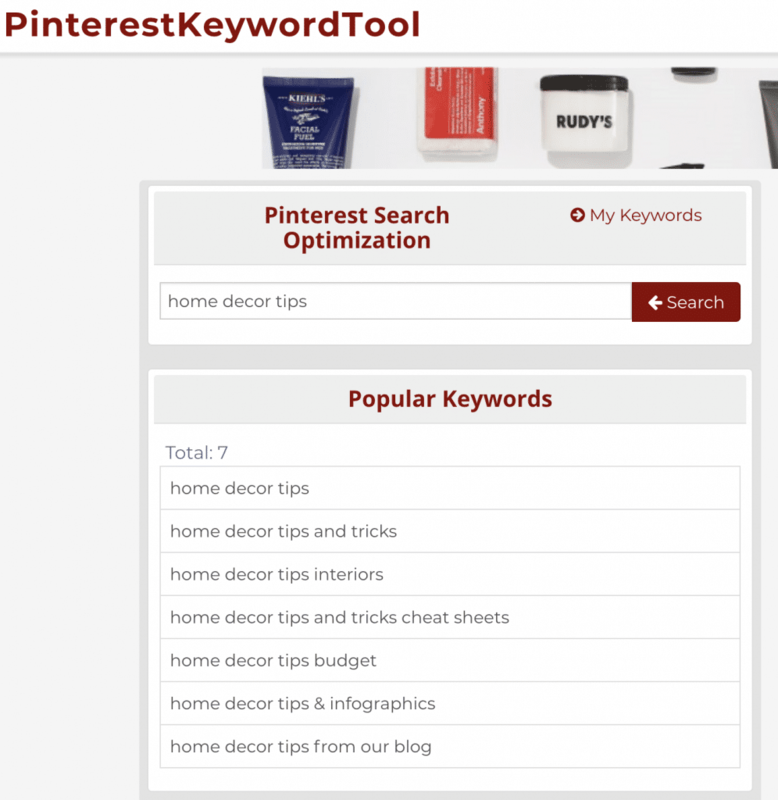 Use your favorite keyword research tool (like Google Keyword Planner or my personal favorite, Ahrefs) and compare results with the more niche Pinterest Keyword Tool. Refer back to the three areas you should work to optimize on Pinterest: Pins, Boards, and your profile. Using your keywords, build up 20+ Boards with 100+ Pins, each. Once you’ve done that, learn more about BoardBooster and looping Pins. Getting your content on Pinterest is just half the battle. The other half? Getting other people to do it for you. Uploading content from your computer. You’ll be responsible for adding a link and descriptions to make sure it gets found by relevant Pinners. Re-Pinning an image someone had already uploaded. Pin buttons, which are found on websites (or in your browser, as an installed extension). When clicked, these Pin Buttons automatically generate a preview of the Pin, and prompt the user as to which board they want to save it to. The following Pinterest tips are focused on both getting people to Pin your content and to follow you on the platform. The ‘Follow Pinterest’ button will pop up as a small dialog with a preview of your account’s latest Pins so that your visitors won’t have to leave your website to follow you. Social sharing plugins often come with configurable Pinterest Pin buttons that visitors can use to share your website content. Some Pinterest marketing plugins are programmed to Pin the first image of a post, while others allow you to set up which specific images to Pin. Social Warfare is one such WordPress plugin that enables the use of social share buttons and Pinterest marketing. 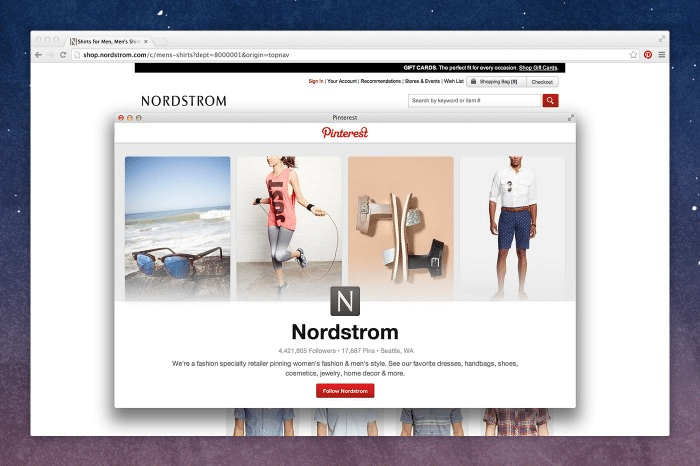 Besides being able to use it to set a custom Pinterest image and fallback, their Pro version also has a unique feature called “Pin image for browser extensions”. When turned to the ON position, this toggle adds your custom Pinterest image to the choice of images to Pin when a visitor uses a browser extension to Pin. Social Warfare Pro starts at $29/year for a one website license. Besides using the Pin button, you might opt to add links to a pre-formatted Pin on other websites/social networks, encouraging people to use the link to Pin the image. Laura Thomas of Pretty Presets does this quite successfully, attributing 10% of her sales as first coming from Pinterest. 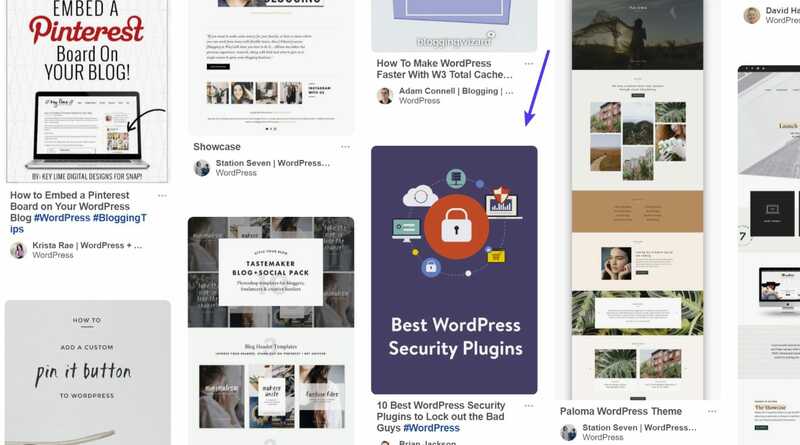 Another way to get site visitors to visit (and follow) your Pinterest board is by embedding WordPress widgets: embedded Pinterest boards, your Pinterest profile, or your latest Pins. Once you’ve activated the plugin, you can start embedding Pinterest boards via a widget or shortcode. Pinterest also offers a widget builder that allows you to create/add buttons/widgets for your site/app—no need for a plugin. Simply follow their instructions and copy/paste the resulting code. 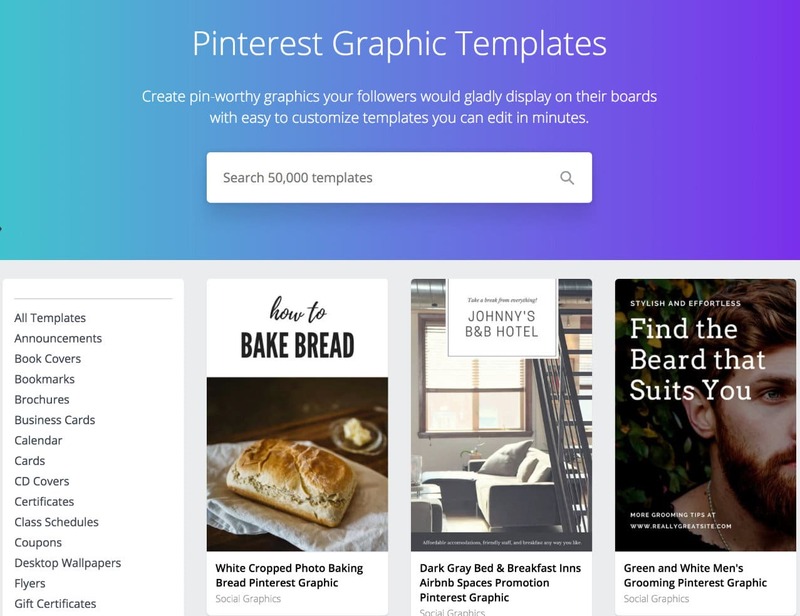 Pinterest has stepped up from being a simple online pinning board, to providing features that support its business and marketing functions. Pinterest rolled out its business accounts feature in 2012. If you already have a Pinterest account, you can easily convert your Personal account to a Business account for free. If you’re a business that’s now just getting started with Pinterest, you can directly sign up for a Business account. 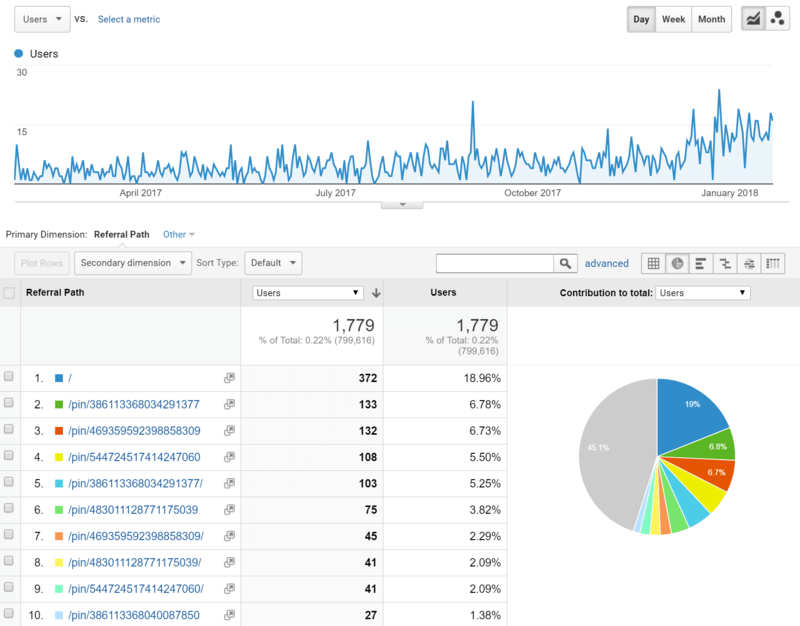 Analytics, which like other social media analytics suites, help you understand how people are engaging with your company: on Pinterest and beyond. Your Pinterest Profile: Shows data broken down into four sections: impressions, saves (repins), clicks, and All-Time. People you Reach: Details about people who see your Pins, follow your boards, or interacted with your content in some way. This also shows which countries and cities most of your audience comes from, gender, language, and more. Activity From Your Website: To access this feature, Pinterest will require you to verify your site and once you do, you will be able to see what content people are engaging with most from your website. You’ll also be able to see impressions, saves (Re-Pins), and clicks for Pins linking back to your site as a daily average. When you sign up for a Pinterest business account, you’ll get access to Rich Pins. Rich Pins are Pins that provide additional context about a Pin—a concept similar to rich snippets if you’re familiar with SEO. App: Shows the Install button to encourage a download; only compatible with iOS apps as of this writing. Article: Helps Pinners save stories that matter to them by displaying a headline, author, and blurb about the article. Product: Makes shopping easier. Includes pricing, availability, and where you can buy the product. Recipe: Includes information such as ingredients, prep time, and cooking instructions to Pins featuring a recipe. If you have a verified account, your website’s branding will be added to all the Rich Pins. You can do that in Pinterest’s developer area. Rich Pins help improve your potential reader’s experience with your Pins—think of them as ad copy for your content. Thanks to their success with using Rich Pins, home decor brand Made.com saw a 36% increase in traffic to their site, 51% increase in conversions, 106% increase in transactions and 173% increase in revenue. 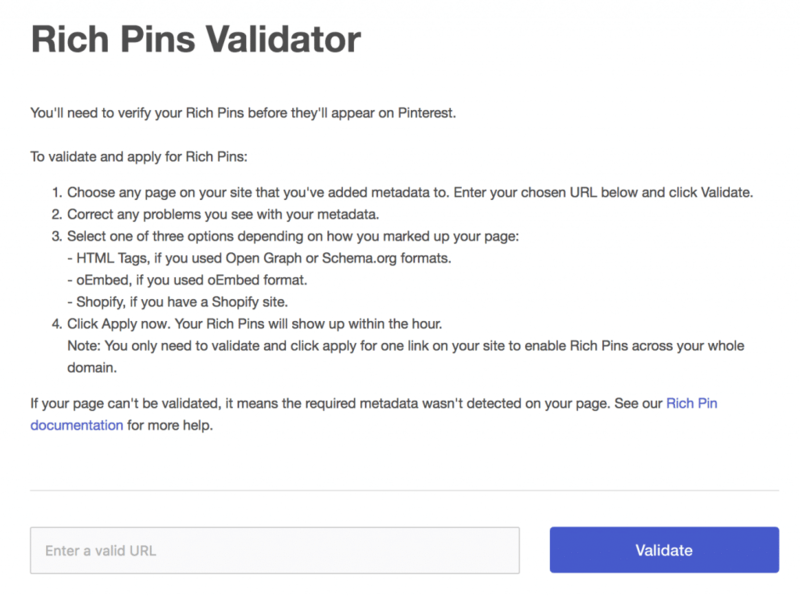 As mentioned above, to get access to Pinterest’s Rich Pins, you have to first verify your website. This can be done by either adding metadata (meta tags) or an oEmbed point to your site. If you have a hard time with this, try asking your website’s developer for assistance. To confirm that this is done, test Rich Pins, then apply to get access on Pinterest. 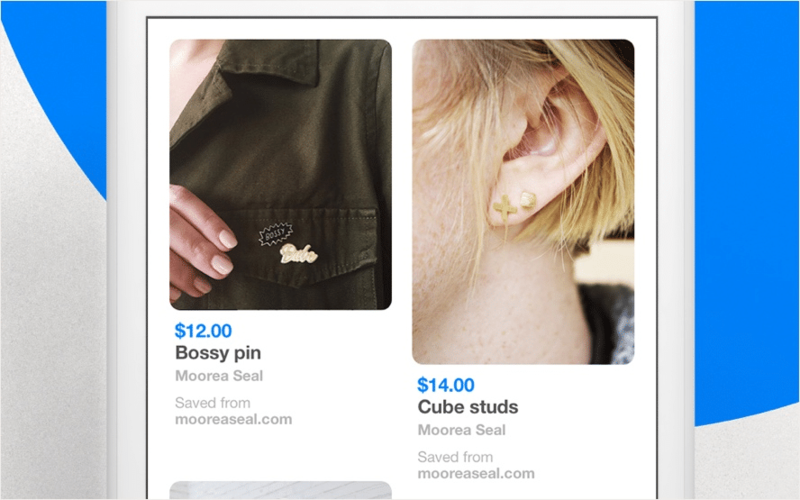 Buyable Pins are a relatively new Pinterest feature that allows peoples to buy your products without ever having to leave Pinterest—similar to the new Instagram Shoppable feed. Buyable Pins work best when integrated with ecommerce platforms such as Salesforce Commerce Cloud, BigCommerce, and Shopify. Each of these aforementioned ecommerce platforms’ Pinterest pages are above linked to instructions for how to apply and set-up Buyable Pins. Buyable Pins work on both mobile and web platforms. Once you’ve been approved to use Buyable Pins (which can take up to 5 business days), you’ll see a blue ‘Shop’ link on your Pinterest profile page. All of your active Buyable Pins will show up on this board, so you can easily keep track of all of your Buyable Pins in one place. The bad news? There is currently no support for Buyable Pins on Woocommerce (which integrates well with WordPress). Since Woocommerce powers over 42% of online stores, we’re holding out hope for support in the near future. 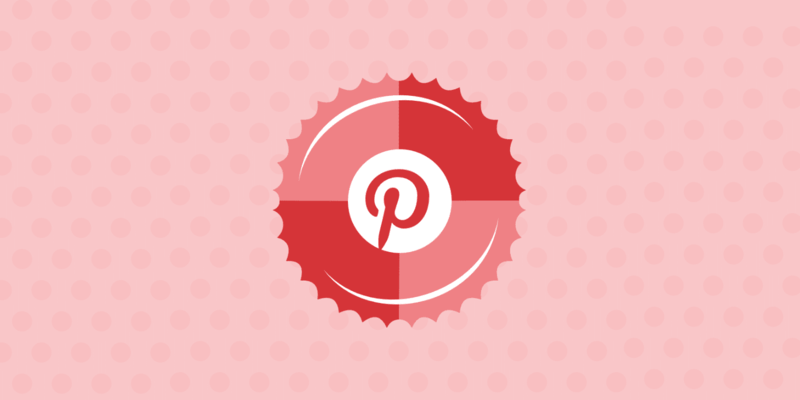 For more information about Buyable Pins, check out Pinterest’s article on the topic. Like Facebook and many other top social media sites, Pinterest has a feature that allows users to pay to promote their Pins to get more views. Promoted Pins, also known as Pinterest Ads, are like regular Pins and don’t actually look much like an ad—beneficial in the age of ad blockers and fed up Internet users. Since Pins last forever, you can boost relevant Pins whenever you want or need to. Pinterest reports a 20% increase in clicks when it comes to using Promoted Pins. This feature is currently only available in the US, Canada, Australia, Ireland, United Kingdom, and New Zealand. You can promote a Pin directly from your Pinterest business profile or through the Pinterest Ads Manager. Ad formats include Promoted Pins, promoted video, one-tap Pins (Pins that with just a tap, take people to the site the content originated from), promoted app Pins and, cinematic Pins (like Facebook videos that start moving when you scroll past them). A recent update Pinterest released regarding ads involves search advertising, which gives businesses the opportunity to put an ad in front of searchers at the moment they’ve signaled some type of intent or interest in an idea or product (another win for using Pinterest to encourage purchase intent). As with other social sites, you only pay for Pinterest advertising when you get results, making it a fairly safe investment when it comes to your Pinterest marketing efforts. Use horizontal images. You can easily create a visually-appealing template on Canva. Establish relationships with other bloggers, influencers and pinners. Instagram isn’t the only place where you might want to work with influencers. For example, Target has worked with top Pinterest accounts Oh Joy, Wit & Delight, and Poppytalk. Pinterest is currently looking into creating a tool that makes it easier for brands to work with influencers (Instagram has already done this). Working with influencers might involve creating community Boards, giving influencers products to artfully style and Pin to. If you pursue this type of influencer/Pinterest marketing, you might also ask the influencer to curate content from other creators (kind of like a style guide). Join Pinterest group Boards. Group boards are shared boards where many different users are invited to contribute. They are differentiated from personal boards by the use of a special group icon. Pinners who follow the group Board show up as followers of the owner only, but all Pins to the group Board, from all contributors, can show up in the home feed of every Pinner who follows it. Think of the implications of joining a group Board with a contributor who has over 100,000 followers! Use a tool like PinGroupie to determine which group Boards you should seek membership to. Start Pinterest group Boards. Besides seeking membership in a popular Pinterest group Board, you might also seek to start one and invite your customers. This can help you to establish social proof, thought leadership, or perform customer research. 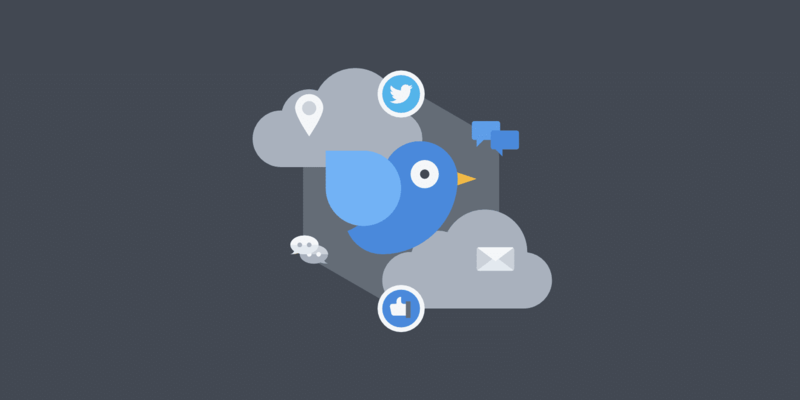 A social proof Board could be created to invite people to show off how they use your product. A customer research Board can be used to invite customers to provide input on future or current products. Hold a contest or giveaway. Make following you on Pinterest or repinning a Pin part of the contest’s mechanics. Pin on a schedule. Ideally, you’ll post 4-5 times a day on Pinterest. Post during peak times to get more eyes on your Pin. 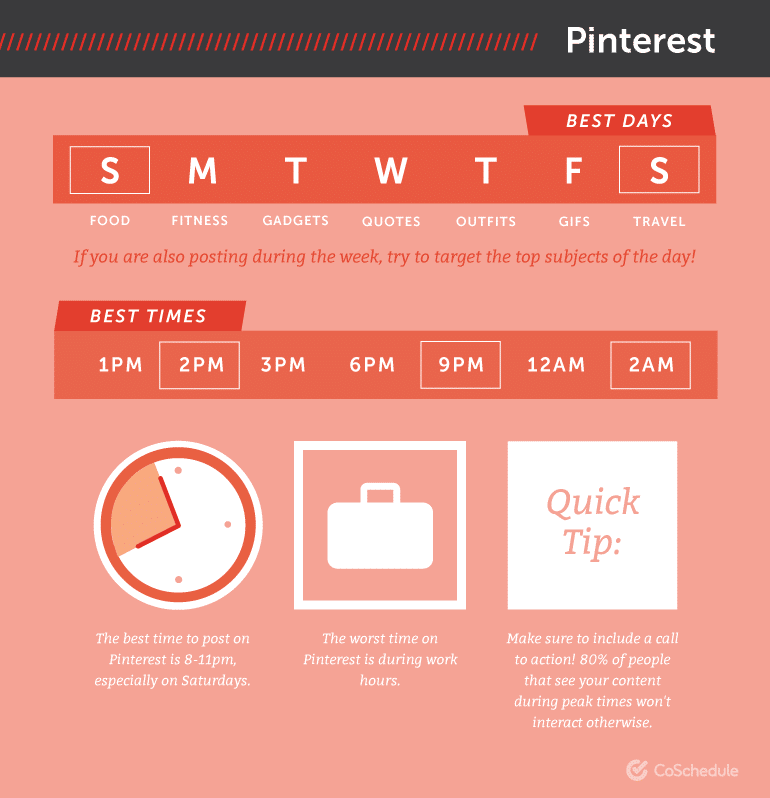 Pinterest peak times are 8-11PM in your local timezone, especially on Saturdays. Other high traffic times include Fridays at 3PM; 2-4 AM and PM, every day; 9 PM daily (which is considered to be the best peak time). Re-Pin others’ content. If you’re a brand, Pins should be 20% your own and 80% Re-Pins from others. 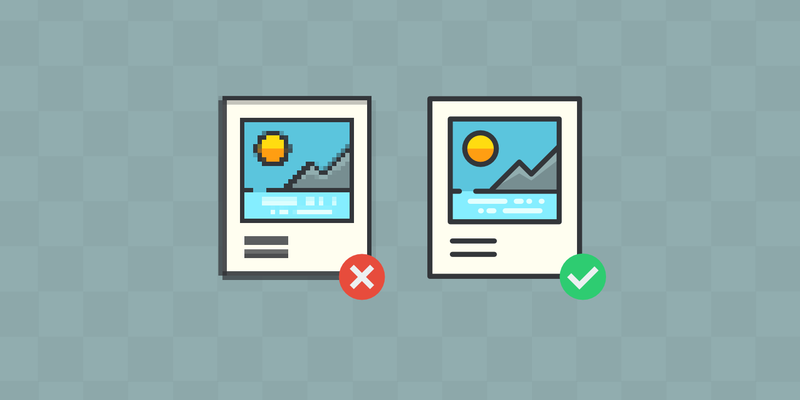 Re-Pin your own content every so often, so users will keep seeing your Pins. Frequently posting on Pinterest can be difficult and since content is evergreen, it can take awhile before any given Pin gets traction. When it comes to time-sensitive Pins, as with those used in contests, make sure to delete the Pin after the contest is over or place contest end dates directly on the image. Luckily, there are Pin scheduling tools like Tailwind and BoardBooster. These programs allow you to schedule your Pins and loop (repost) old Pins and can even analyze data to find the best times for you to Pin based on audience engagement. Pinterest isn’t just a cutesy site—it’s a visual search engine that has evolved into a powerful late-funnel marketing platform with tons of features. Pinterest users, most of whom are women, are primed to buy thanks to the visual nature of the site. Besides driving purchase behavior, it also represents the social platform where content has the longest shelf life. Sign up for a business account and get Pinning! If you have any awesome Pinterest marketing tips to share, tweet them at @Kinsta—we’ll share our favorites! Holy cow!! That has gotta be the most awesome article I have read in a long time!! I am not a WordPress user…But the info you shared in this article has educated me and set the wheels in my mind turning! Lovely piece of content. Pinterest marketing is important for all the business who want to grow their audience on international marketing.